Medication dependency and overuse is a growing problem among headache sufferers worldwide. Another problem emerging from overuse of drugs is what doctors are calling “medication-overuse headaches,” where patients are treating headache with too much medication and subsequently suffering other headaches as a symptom of overuse. In a recent study, Dr. Bernard Abrams, a neurologist at the University of Missouri-Kansas City School of Medicine, sought to find reasons for the increase in mediation-overuse headaches as well as establish prevention strategies and treatment options. Dr. Abrams found that prevention is the key to addressing the problem of headaches caused by drug overuse. He recommended that health-care professionals pay strict attention to what patients are telling them (or not telling them) about their headaches. He found that there has been a shift toward beginning treatment at the earliest stages of migraine in order for patients to avoid full-blown headaches into the future. This practice, however, causes patients to be on drugs longer, and thus more prone to medication overuse headaches. It was discovered that any class of drugs could lead to the development of the headaches, including Triptans, ergots, and opioids. A connection between chronic daily headache and medication-overuse headache was confirmed by the study’s findings. 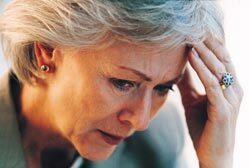 Patients with migraine and tension headaches were found to be at a higher risk to develop chronic headache following the overuse of headache drugs. Dr. Abrams wrote that, “An ounce of prevention is worth a pound of cure,” and he stressed that doctors take measures to avoid patients’ headaches from becoming chronic and daily. It is also important to prevent patients from overusing medication. If prevention fails and a patient does end up with medication-overuse headache, the study found that complete withdrawal of the overused drug is mandatory. Because relapse rates are high, Abrams also recommended that psychological support, education, and surveillance begin after the drug has been stopped. Clearly, both providers and patients who want to avoid complications associated with drug use, including medication-overdose headache, should seek non-drug treatment for headache whenever possible. Chiropractic treatment is a proven method for treating and preventing headache. See our video below for more information. Abrams B. Medication overuse headaches. Medical Clinics North America 2013: 97: 337-352. doi: 10.1016/j.mcna.2012.12.007. Written by: Kelly Johnson on April 25, 2013.